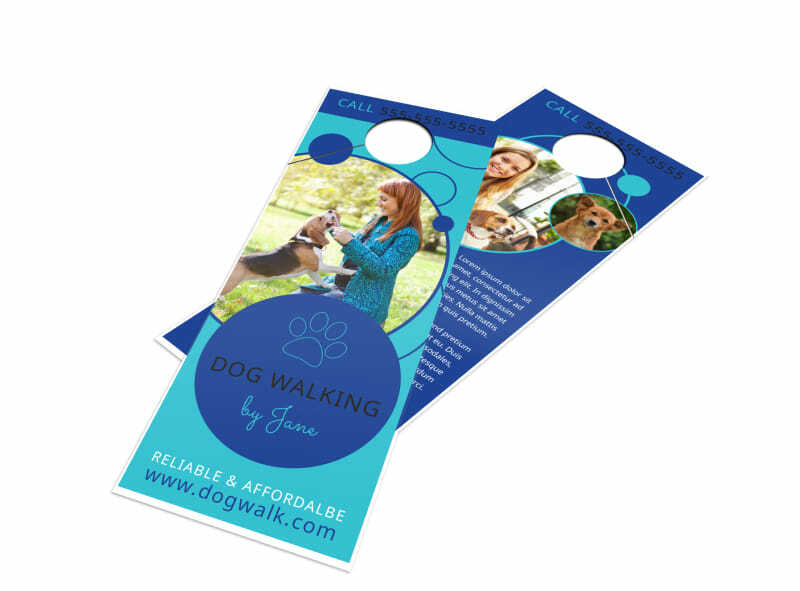 Customize our Fun Dog Walking Door Hanger Template and more! 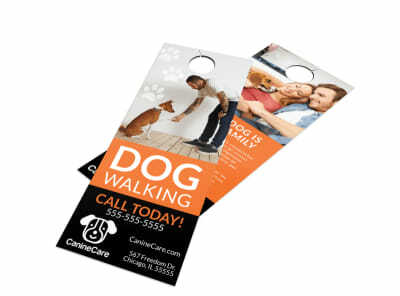 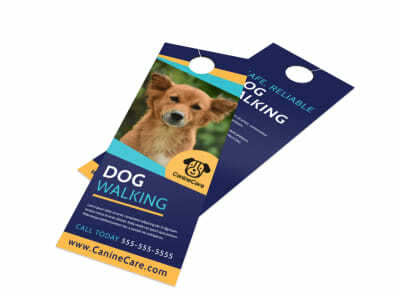 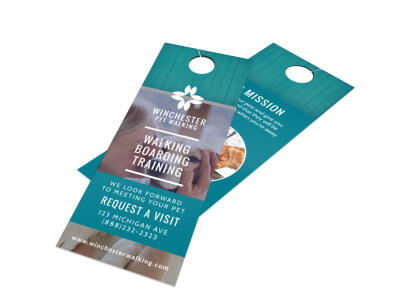 Leave behind the details of your dog walking service on every pet parent’s door with this customizable door hanger. 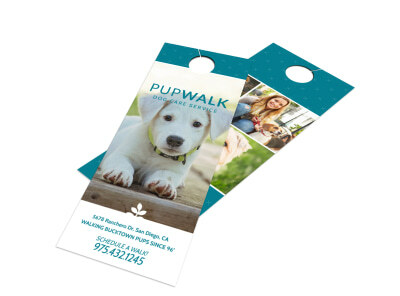 Customize your door hanger with cute images of pooches, catchy text, and the color theme of your choice. 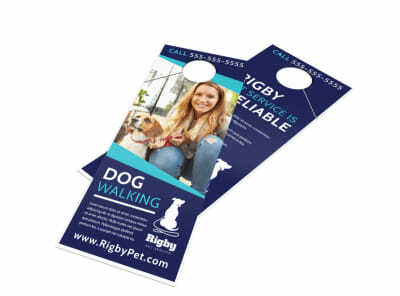 Begin now with a few mouse clicks, and print your hanger from the convenience of your own printer.